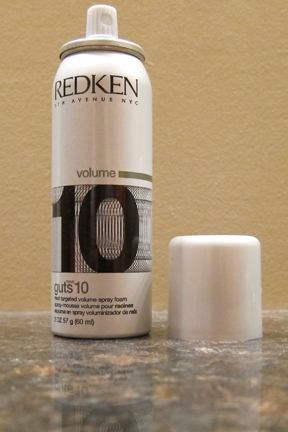 THE SKINNY: Redken Guts 10 isn't any better or any worse than any other volumizer I've tried. It's easy to apply. Just section your hair, spray onto the roots and massage the resulting foam into your hair. Then style. My hair is fairly short these days, so a volumizing product should really amp up my finished style. This one doesn't make much of a difference, although my style does hold a little longer throughout the day. On the plus side, Guts 10 doesn't leave my hair sticky. KEEP OR TOSS: I have it, so I'll keep it. But this give a middle-of-the-road result at best. CHECK IT OUT: Redken products such as Guts 10 are sold at your beauty salon and higher-end shops such as Ulta and Amazon Beauty.